Save time and money by processing credit cards inside the application and from the portal. Smart businesses know that integrated payment processing saves time and money. CollaborateMD ensures hassle-free credit card processing that will easily reduce follow up on co-pays, deductibles, and co-insurance balances, which will translate into improved A/R. By entering your patient’s credit card payments within CollaborateMD, you will increase business efficiency and accuracy. 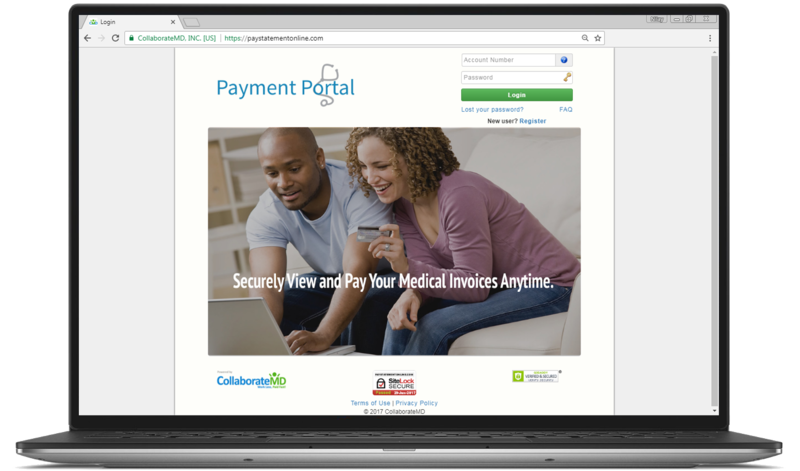 Our payment portal offers patients more control of their payments and reduces A/R days, resulting in improved cash flow. The payment portal utilizes the highest form of security and protection to secure the patient's information. By giving patients a secure online payment portal, offices are reducing patient calls, increasing billing accuracy, and accelerating patient payments. 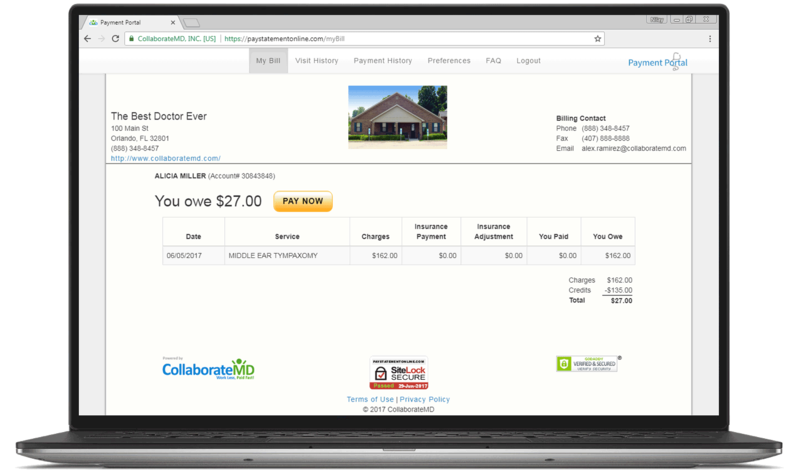 The payment portal is a CollaborateMD product (not a third party product), which means payments post directly into the practice in real-time. Plus, patients can view their visit and payment history (regardless of where the payment was posted) in real-time. Our webinars are designed to to help make your medical practice work less, and get paid fast!